I managed to get some lights up in the new cabin yesterday, and wired some additional power sockets for the machines. It’s a lot harder in a corten steel box than in a wooden shed though. Everything has to be drilled and screwed, even the cable clips. I’m not sure what went wrong with this photo, the chop saw looks ghostly. Well, I suppose it was Hallowe’en yesterday. I think something went wrong when stitching the individual photos together. 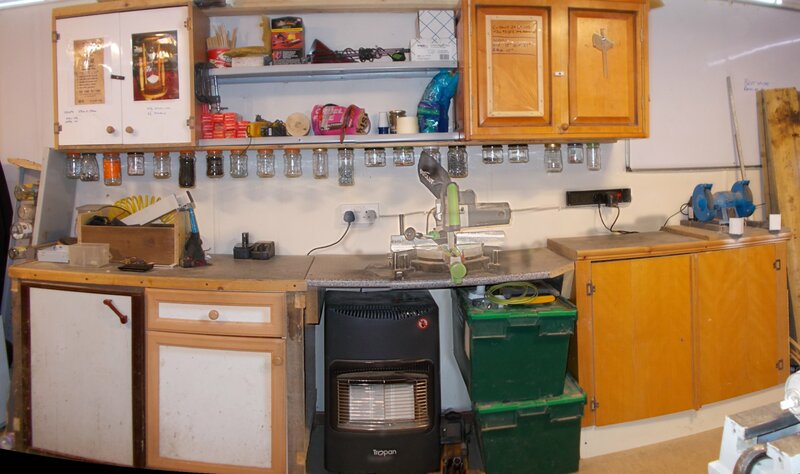 I have also re-assembled the grinder and the sharpening jig, fixed some of my jars below the cabinets, and of course bolted the chop saw into position. Over on the other side, the lathe has been re-assembled, more power for tools etc. 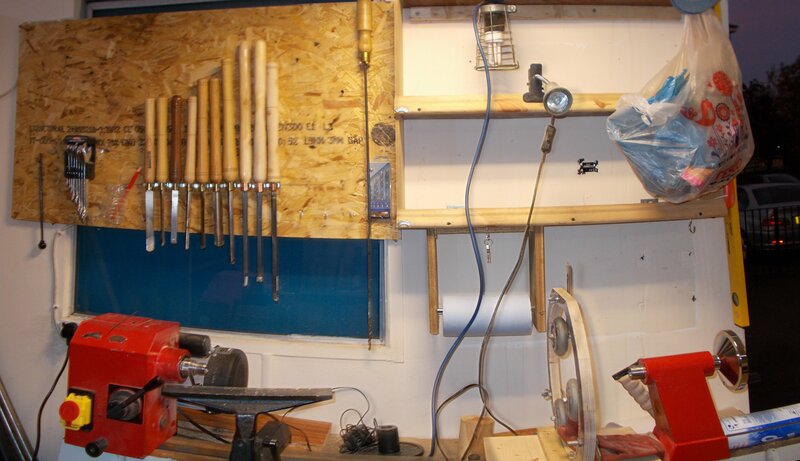 over there, and the back-board for the lathe tools has been mounted over one of the windows. The windows are covered outside with steel shutters, and are unlikely to be open very often, so I’m not too bothered about covering them inside. My next plan is to get the left hand side tidied into some kind of normality, and set up the pillar drill. It’s all beginning to take shape.